Separately, Steve Carell (The Office, Get Smart) and Tina Fey (30 Rock, Baby Mama) are comic geniuses. Combined, you can only imagine how great it would be. Directed by Shawn Levy (Night at the Museum, Cheaper by the Dozen), this film follows Phil (Carell) and Claire Foster (Fey) who are trying to spice up their marriage by having a perfect date night. But over a course of stealing someone’s reservations and getting themselves into deadly situations, hilarity ensues. Set in beautiful Manhattan, the Foster duo run from dirty cops and a sleazy District Attorney to try and just make it home to their children at the end of the night. While this film relies heavily on the comedic talents of Carell and Fey, the cameos and bit roles in the film solidify it as gold. Appearances by Mark Ruffalo, James Franco, Mila Kunis, Will.I.Am, William Fichtner, Ray Liotta, and Mark Wahlberg all bring memorable moments into the film, although most have nothing to add to thicken the plot. Each of these small roles have been perfectly cast and could easily become the most talked about parts of the film. This film may not be the heaviest in order of action or even plot, but as with Levy’s other films, the movie gives you a good feeling once you leave the theater. 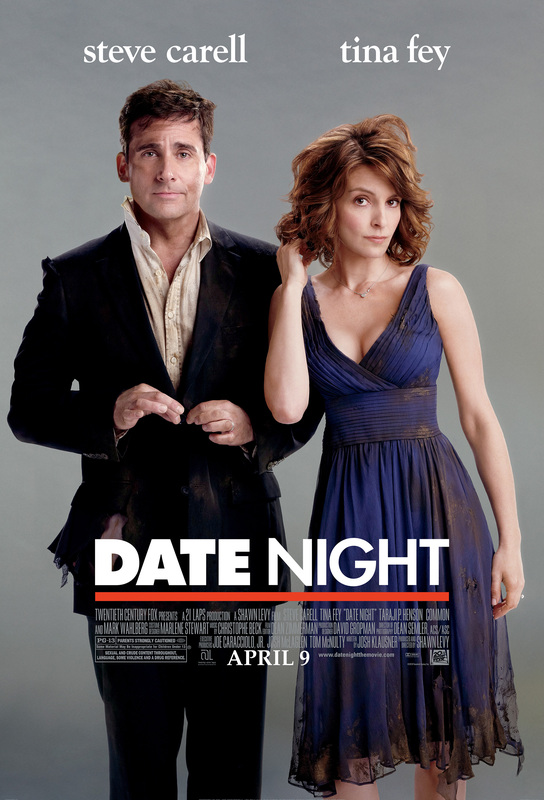 This film should solidify Carell and Fey’s career as leading stars in future films, as well as help boost the ratings of their respected sitcoms at least a little bit. Date Night has been advertised as the first summer blockbuster, and it probably will do very well in the box office. This movie will bode well with both men and women, with enough action, comedy, and romance to please audiences nationwide. The antics in the movie are a lot more subtle and toned down than either The Office and 30 Rock too, so those who aren’t fans of the sitcoms shouldn’t be worried about that problem either. Overall, the film is enjoyable, with a weaker plot, but will not disappoint you if you see it in theaters. I would recommend watching it on the large screens in theaters rather than waiting to rent it. Some scenes give much more pop when viewed on the large screen.